As part of my exploration of immersive video, I began experimenting with binaural audio. Sound is an important part of storytelling, and we cannot have a compelling and truly immersive VR experience without spherical audio. It is vital in creating the illusion of presence in virtual environments. The idea behind binaural audio is to capture sounds using multiple microphones to later be able to play different tracks to each ear of the listener to simulate how we perceive sound waves in real life. The technology has been around for a long time, but with the advent of VR, it means a new life for binaural. Anna Yelizarova is a passionate and dynamic individual who came to Silicon Valley four years ago from Montreal, Canada. Prior to university, she got really into video-making through her life as an athlete. At the age of 13, after her dad introduced her to video-editing software he used for work, she started traveling with an old-school camcorder on every water polo trip. These days, she melds that passion with modern technology through virtual reality and immersive storytelling. Her academic background is technical in nature. She completed a B.S. in computer science at Stanford, where she is currently pursuing a M.A in communication, doing research at the Stanford Virtual Human Interaction Lab. 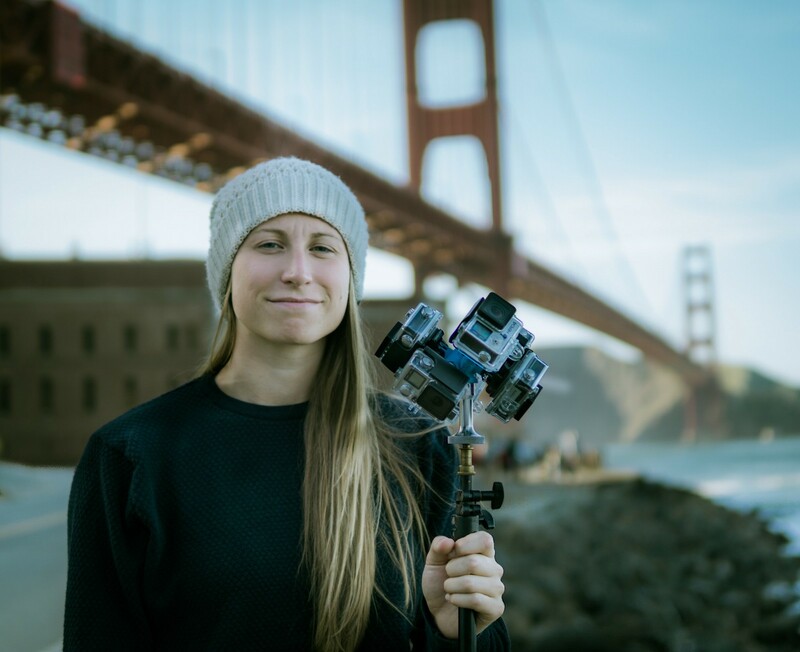 In the summer of 2016, as part of an exploration of 360 video, Anna started an immersive travel blog “Follow The White Rabbit,” as she traveled the world documenting her adventures.
.@Stanford University's Journalism Program and Stanford Computational Journalism Lab focuses on multimedia storytelling and data journalism.